Ocean Hills Country Club in Oceanside California is the one of the most desirable 55+ communities in San Diego where you can find beautiful homes with great amenities in a friendly and social environment. Below you will find the latest Ocean Hills Country Club homes for sale. We can help you buy and sell a home. Questions? Please text or call 760-798-9024, send us a message by clicking here, fill out a contact form, or sign up for customized property email notifications from a real estate agent here. You may also create your own home search, save, and get email notifications here. We’re here to help! There are 1,633 guard-gated Mediterranean-style homes, an 18-hole executive golf course with no greens fees, beautifully maintained tennis and pickle ball facilities, bocce ball, an elegant 27,000 square foot clubhouse with a library, concert hall, fitness center, and over 50 social clubs to participate in. The numerous choice of Ocean Hills homes and floor-plans in Ocean Hills is a great attraction for retirees who want to find their forever dream home. The 6 duplex floor plans below were the first 1,200 homes originally built at Ocean Hills Country Club between 1984-1988. There are approximately 200 detached homes built with the 5 floor plans below. These detached villas were built sometime between 1989-1992. There are around 200 homes built by Ryland Homes from 1997-1999 which completely built out the Ocean Hills Country Club. If you would like to play more golf when you retire in San Diego, you may like to retire in Ocean Hills Country Club. An 18 hole executive style golf is available and exclusive to Ocean Hills homeowners and their guests. Currently, this is the most active golf course 55 and over community in North County San Diego. There are over 1,600 active adults who live and play in this 55 and over community. Are you looking for the most active retirement communities in San Diego? Would you enjoy living in a Mediterranean inspired resort-style 55 and over community located in San Diego County where you can have a beautiful and comfortable detached home or attached condo? Perhaps you like the idea of living in an active adult community where you can walk along greenbelts with your dogs, meditate in quiet gardens, or be actively engaged and meet new people or like-minded 55+ adults in a wide variety of social clubs? How about retiring or living in a gated, guarded and patrolled, golf course community, with numerous home choices and floor plans? Does retiring in a coastal city sound good to you? Well, you just might have found your ideal active San Diego retirement community in Ocean Hills Country Club. Where can you find the best places for retirement for those who are over 55 in San Diego where you can enjoy many social and physical activities? Well, Ocean Hills in Oceanside California is a great place for retirement in an age-qualified community. Imagine living in a Mediterranean inspired resort-like community where you can swim, play unlimited golf, tennis, pickle ball, walk along greenbelts, meditate in quiet gardens, or be actively engaged while participating in a wide variety of social clubs. What are the amenities at Ocean Hills County Club 55+ Community? What does the HOA fee cover in Ocean Hills Country Club? Unlimited Golf – no green fees since golf is included in the Ocean Hills monthly HOA dues. The Ocean Hills HOA fee and inclusion is subject to change. Please verify before deciding to purchase a home. What are the clubs available at Ocean Hills Country Club? Below you will find a list of the many social clubs within Ocean Hills Country Club. It has a nearly perfect weather, given its location just 4 miles to beach. Compare this location with hot inland San Diego 55 and over places. With a nearly perfect weather all year round, it encourages a happier, active and healthy lifestyle for you our your loved ones who are 55+. This 55 and and over community in San Diego is very active! There are 1,600 active seniors who live here who participate in the long list of clubs and activities and they truly keep each other young and socially engaged. Imagine various opportunities to join fun events or make new friends (only if you want to, ok). It has so many amenities including a 16,000 sq ft recreation club with a concert hall and library, salt-water swimming pool, tennis courts, pickle-ball courts, a dog park for senior pet-lovers. With its enviable location near the beach (4 miles to the beach as the crow flies). This popular retirement spot is also midway between San Diego and Los Angeles – perfect for those who are still working, like to travel, or want to stay close to family or friends from either cities. The extensive choice of 55+ homes and floor-plans is a great attraction here for many seniors who want to find their perfect 55 and over home for retirement. We know how finding just the right floor-plan in Ocean Hills is a very serious and fun pre- and occupation here between buyers and their devoted agents. Ocean Hills Country Club Homes vary in size from 971 sq.ft. to 2800 sq.ft. from attached homes to single family detached homes with ocean, greenbelt and, or golf course views. Some of the homes for sale in Ocean Hills have premium lots that have ocean, mountain, canyon and golf course views. The first phase of Ocean Hills was built in 1984 which were mostly attached homes and the last phase which consists of detached homes were built in 1998. Each phase is referred to as a Village, set up as a corporation with its own homeowners association and governed by its own Board of Directors. The common areas are governed by a separate Master Association called the Ocean Hills Country Club Homeowners Association. There are 8 villages in Ocean Hills: Mykonos with 309 units, Majorca with 334 units, Corfu with 354 units, Santorini with 104 units, Zant’e with 153 units, Hydra with 121 units, Cyrus with 24 units, and Portofino with 234 units. Ocean Hills is located on a 350 beautifully landscaped acres and bordered on the west by a natural preserve. Ocean Hills is approximately 8 miles from the Ocean and 35 miles from San Diego. Nearby medical facilities include Tri-City Hospital in Vista, Scripps Memorial Hospital in Encinitas, Palomar Pomerado in Escondido, and other Greater San Diego area first class hospitals. If you are looking to retire near the beach, know that this active senior community is located just 4 miles from the ocean in Oceanside, CA. For Ocean Hills country club rentals, click here. If you are looking for a senior community with social activities, explore what Ocean Hills has to offer. Looking for the best places to retire in very active San Diego County 55 and over communities? If you like newer built San Diego 55+ homes like the homes in Ocean Hills Country Club, you may also like detached and attached homes at Auberge Del Sur in San Diego, CA built in 2016 or new attached homes at Avante Del Sur. If you enjoy golf and would like to explore golf course 55+ homes in San Diego like Ocean Hills Country Club, you may also like Oaks North, Chapala at Oaks North, Mirador Oaks North, Marbella Oaks North, Oaks North Villas in Rancho Bernardo; High Country Villas in Encinitas, CA. If you feel more secure with gated communities like Ocean Hills Country Club, you may like gated 55+ homes in San Diego such as Auberge Del Sur in San Diego, Villa Trieste in Oceanside, CA. If you love being active and want to live in communities with social activities like Ocean Hills Country club, you may like Laguna Woods in Orange County, Auberge Del Sur in San Diego, Oceana in Oceanside CA. If you are looking for affordable senior condos in Oceanside that are traditional built (not mobile homes) near the beach, also check out the original Oceana, Oceana Mission, Oceana East, and Oceana South. 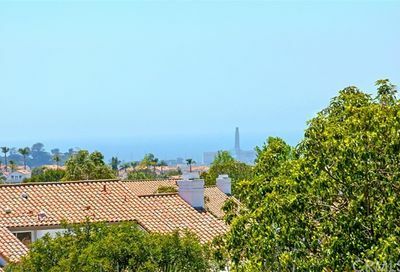 If you want to live in North County San Diego within a short driving distance to the beach, also check out nearby 55+ homes for sale in Carlsbad, Encinitas, Oceanside, Vista, and Lake San Marcos. Click the following links for more information on 55+ communities in San Diego County and Orange County. Visit our main San Diego 55+ communities page here. View San Diego 55+ Communities Map Like our DreamWell Homes Facebook Page! You may post comments here.